The Maltese Falcon . Selected for "The Big Read," Erika Koss, editor. Contents: Readers Guide contains Introduction, Historical Context, About the Author, Other Works/Adaptations, Discussion Questions, Bibliography; Teacher's Guide contains Schedule/Lesson Plans, Capstone Project Ideas, Essay Topics; and an audio radio program. National Endowment for the Arts. Layman, Richard. "Hammett's Maltese Falcon , 75 Years Later." In an interview, Layman notes that John Huston's version is one of the few times when a great American novel became a great movie. National Public Radio, 3 April 2007. Layman, Richard. Selected Letters of Dashiell Hammett, 1921-1960 . Excerpt from Part One. Also, a review, in NYTimes, 5/6/01. "Dashiell Hammett: Let's Talk About the Black Bird." A feature on Dashiell Hammett in January Magazine , includes comments from Richard Layman and many additional tributes. Layman, Richard. "There's Only One Maltese Falcon." January Magazine . Riley, James. 'As if there were anywhere to go': The Lack of Transcendence in the Noir Fiction of Dashiell Hammett and David Goodis. Crimeculture Autumn 2004. "Dashiell Hammett." PBS American Masters . 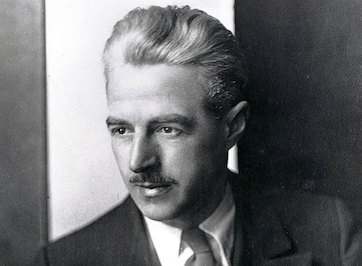 Horsley, L. "Dashiell Hammett." A substantial introduction to Dashiell Hammett, from the Literary Encyclopedia 20 Oct. 2001 [subscription service]. Freedman, Carl and Christopher Kendrick. "Forms of Labor in Dashiell Hammett's Red Harvest ." PMLA 106, 2 (March 1991) pp 209-21 [jstor]. Malmgren, Carl D. "The Crime of the Sign: Dashiell Hammett's Detective Fiction." Twentieth Century Literature Fall 1999 [jstor]. Marcus, Steven. "Hard-Boiled Writing from a Private Eye." An interview with Professor Steven Marcus, editor of a new Library of America edition of Hammett's novels and stories, who talks about Dashiell Hammett's development as a writer. Ideas 5 (1997). Porter, Joseph C. "The End of the Trail: The American West of Dashiell Hammett and Raymond Chandler." The Western Historical Quarterly 6 (1975) [jstor]. Shulman, Robert. "Dashiell Hammett's Social Vision." The Centennial Review 29, 4 (FALL 1985) pp 400-19 [jstor]. Walker, John. "City jungles and expressionist reifications from Brecht to Hammett [and Bertolt Brecht]." Twentieth Century Literature 44, 1 (Spring 1998) [jstor]. Whitley, John S. "Stirring Things Up: Dashiell Hammett's Continental Op." Journal of American Studies 14, 3 (Dec. 1980) pp 443-55 [jstor].